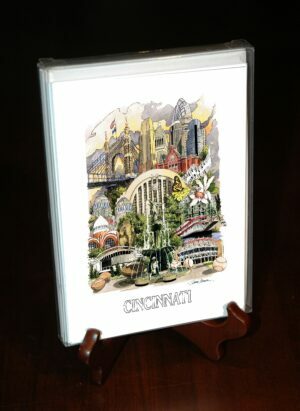 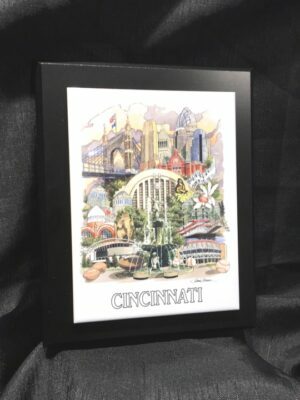 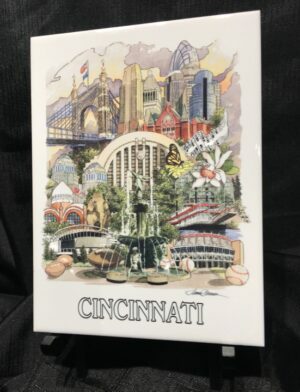 This 13″ x 16″ hand made frame comes with the print of the water colored montage of Cincinnati, Ohio. 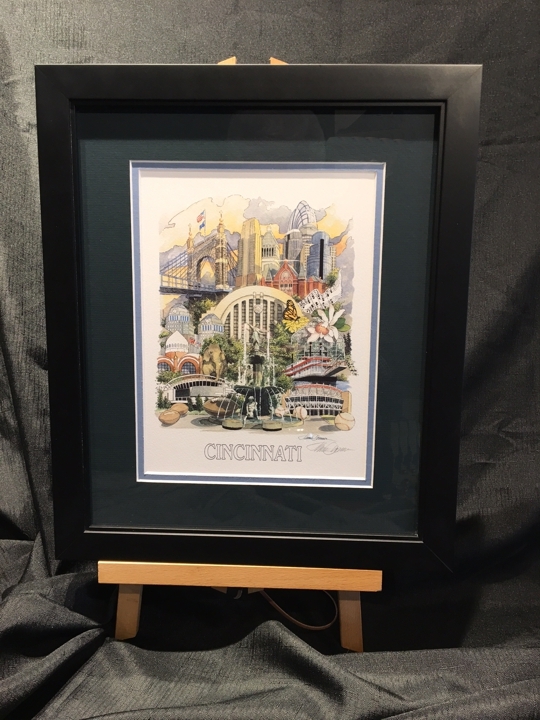 The print is on 100% cotton, acid free paper with Giclee Inks. 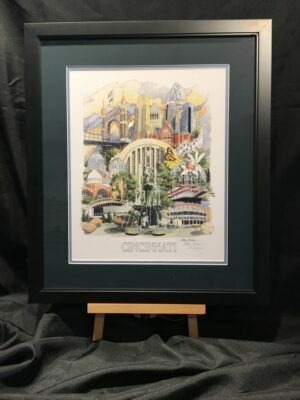 The print is signed by James Conner.